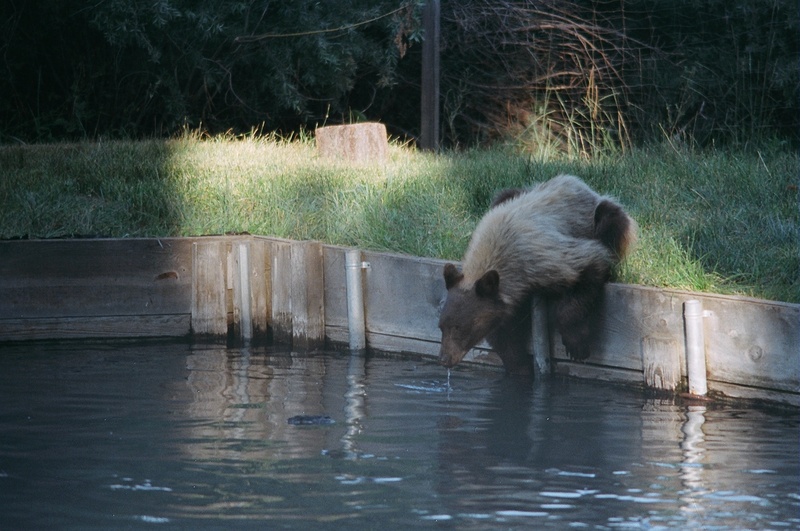 Tahoe Trout Farm – Come where you really hook em! Voted #1 by Kids & Parents. No License Required. No Bait or Tackle Needed. No Limits to Your Catch. 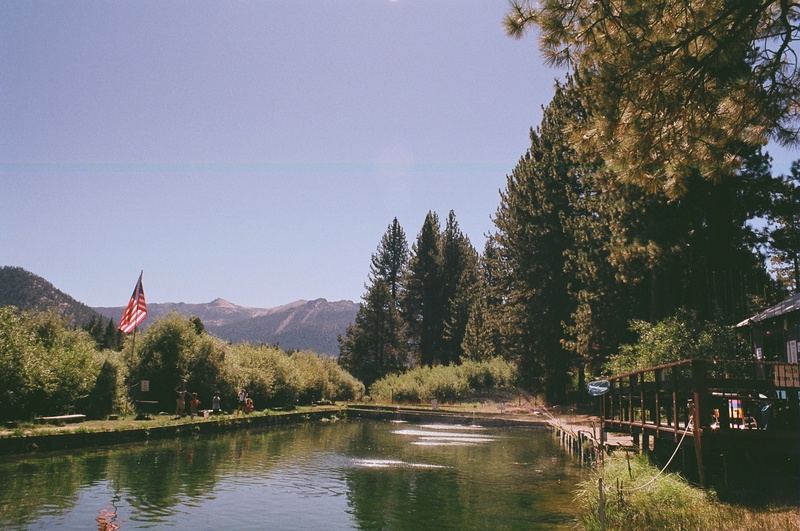 Tahoe Trout Farm was picked by TahoesBest.com, a travel and tourism site serving Lake Tahoe, for Editor's Choice Award. We were picked for top thing to do with kids in Lake Tahoe! 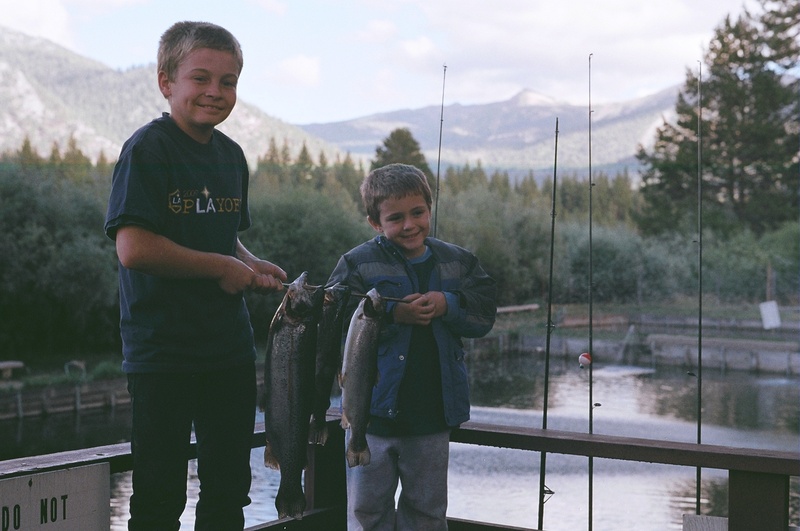 After 70 years of operation, family owned-and-operated Tahoe Trout Farm has become a Lake Tahoe tradition. 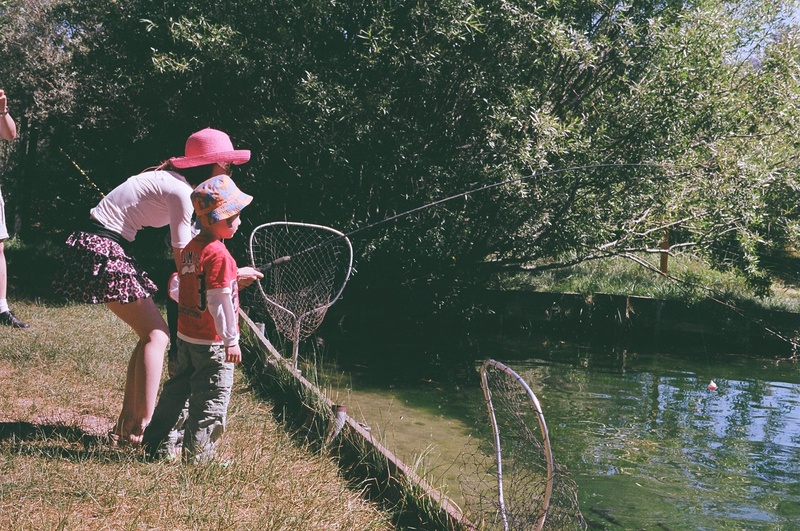 Whether your kids want to catch their first fish or you simply want to have a fresh catch for the grill, this is the place to come for straightforward fishing fun. 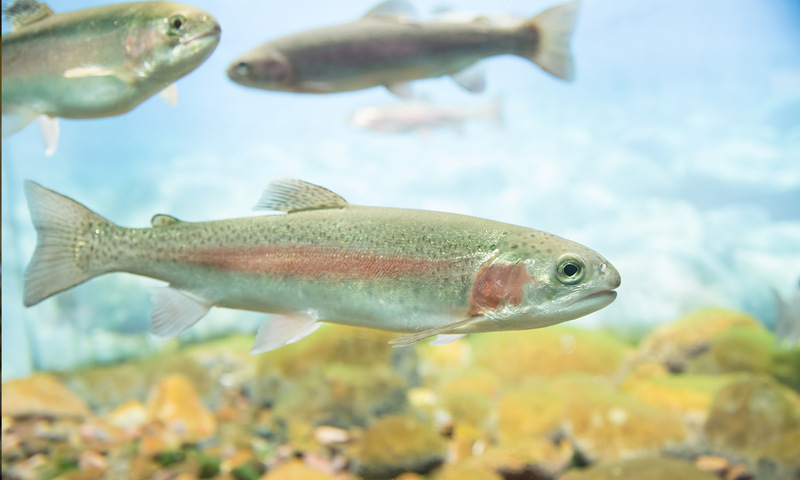 We keep our two, well-circulated ponds stocked with healthy rainbow trout that love to bite. Bait and tackle are supplied at no extra cost, but if you’d rather use your own tackle, feel free to bring it. No fishing license is required, and all ages can participate. We charge per fish, based on length, and can even clean and pack them on ice for the journey to your grill or kitchen. 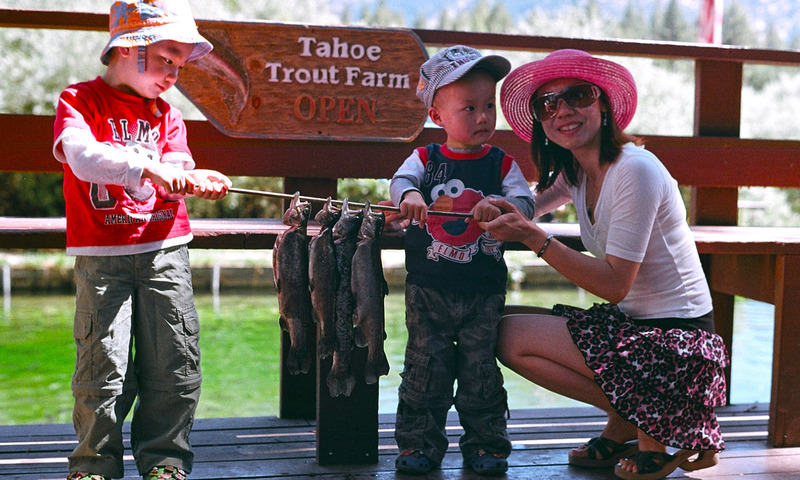 Tahoe Trout Farm was picked for “Top Thing To Do With Kids in Tahoe” by Tahoe’s Best, a travel and tourism site serving Lake Tahoe, for Editor’s Choice Award. Our staff will get you set up and is available to help you and your family catch fish. We provide the bait and tackle for you and can even clean your fish for you! FREE Admission, FREE Bait & Tackle, No Fishing License Required, No Catch Limits, Only pay for what you catch! Take and eat your fish. Our fish are of the highest quality and we even have a few recipes for you to check out! We’re open from 10am – 6pm seasonally. We are usually open mid-April through October. For those who would rather watch, we have benches all around the ponds, as well as a large deck and a gorgeous view of the mountains. 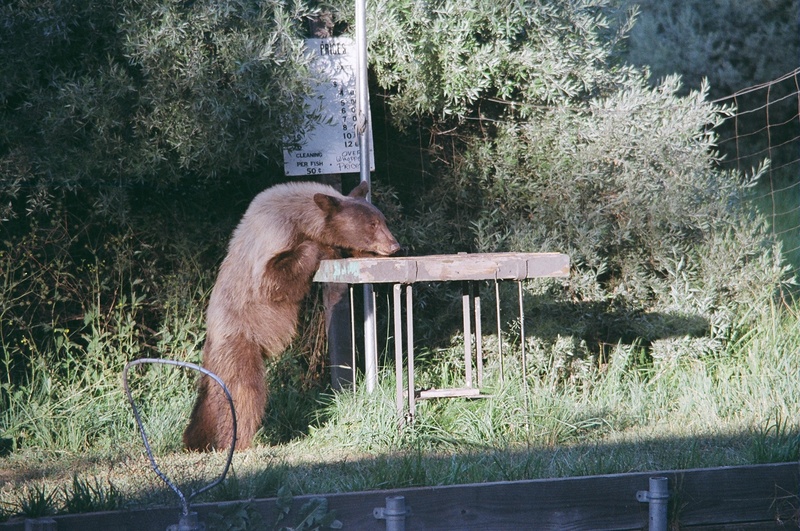 Come where you really hook ‘em! Watch us on Outdoor Nevada! Very very friendly owners and workers. A nice place to go fishing without the need of having your own equipment and license. You can save your trout overnight to pick up whenever you leave if you are from out of town. This was a fantastic experience! I’d never fished before and had no idea what I was doing, but they were super helpful and walked me through everything. And it was such a thrill, catching my first fish! Definitely recommend. The owner is super sweet. He is very focused on family and community. 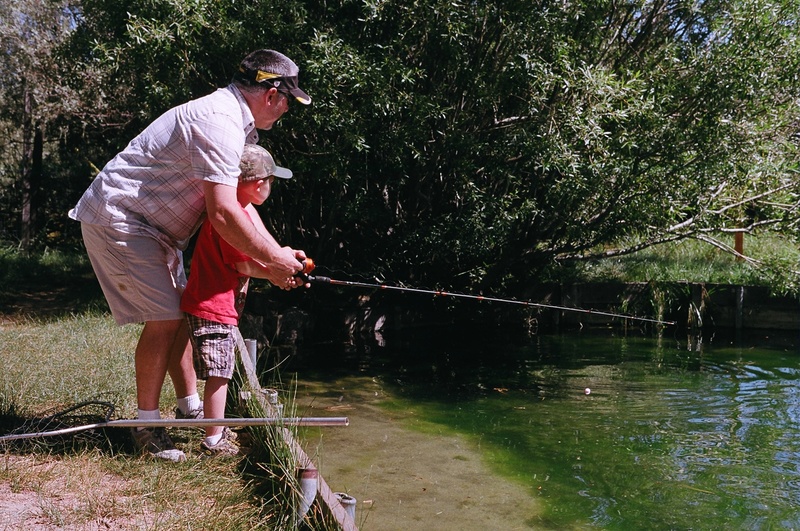 This is the best place to bring your kids for their first fishing experience. Like other reviewers have mentioned, this place isn’t for “real” fishermen. Which is a good thing, because my boyfriend and I certainly aren’t, and we still had fun catching a trout! This place is awesome for kids! Our 2 girls ( 5 1/2 & 2 1/2) had a really great time. The owner there was really helpful and staff was friendly. We caught 4 rainbow trouts in about 90min and had them for dinner!